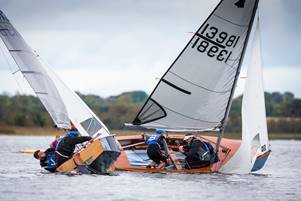 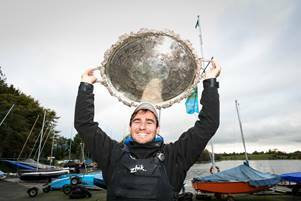 Fresh from winning bronze at the U23 Finn World Championships earlier this summer, Baltimore’s Fionn Lyden has won the All Ireland Sailing Championships at Mullingar Sailing Club today. 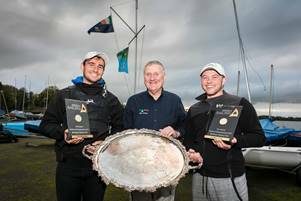 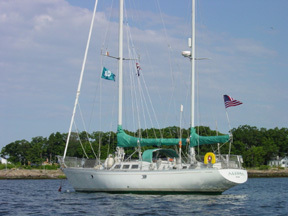 The trophy will now include Lyden’s name alongside the greats of Irish Sailing including Olympic veterans Mark Mansfield and Mark Lyttle. 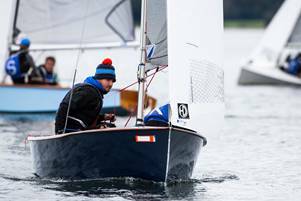 The final results were Fionn Lyden with crew Liam Manning of Baltimore SC; in second place were Alex Barry with crew Richard Leonard of Monkstown Bay SC, and in third was Shane McCarthy and crew Andy Davis of Greystones SC.